Scotch cocktails aren’t exactly a thing — most Scots sip their whisky neat or with a couple drops of water — but when in Scotland I endeavoured to sample the spirit dressed up with some other ingredients. 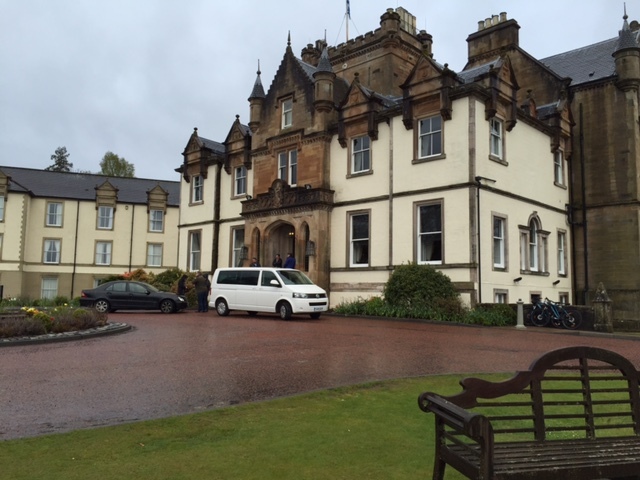 This posh yet casual hotel on the shore of Loch Lomond oozes Scottishness. To begin my scotchtails exploration I met a fellow Canadian cocktail and spirits writer at the Great Scots Bar — inside gorgeous Cameron House, located on the shore of Loch Lomond — and we proceeded to get our Scottish on before dinner. She ordered a whisky and I got the Islay Barrel cocktail. It was apropos of the trip as it featured Ardbeg 10 Years Old, a peaty whisky from Islay (where we were flying the next day! ), as well as Glayva, which is a Scottish liqueur made from whisky, tangerines, almonds, honey and cinnamon (yum!). 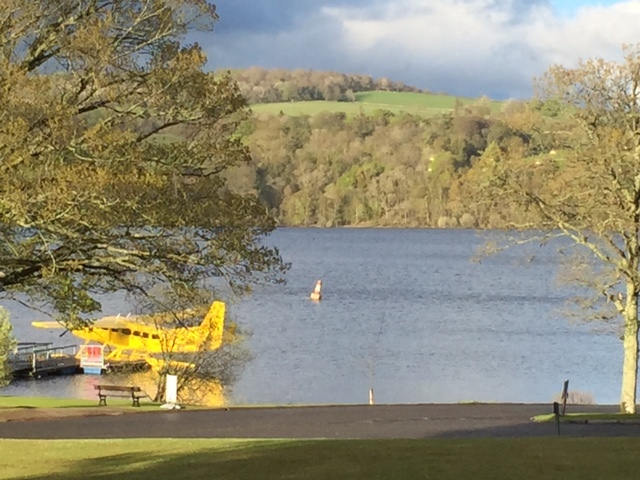 The view from the Great Scots Bar looked out over Loch Lomond and the seaplane that would fly us to Islay the following day. This drink did not disappoint. Smoky, sour, strong and sweet, with an exotic flavour that must have been the Glayva. 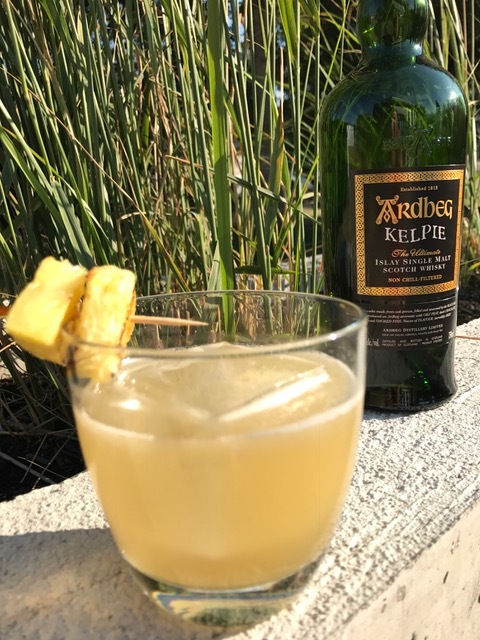 I was prepared to be put off by the peaty Ardbeg, but it just enhanced the cocktail, and it was tempered somewhat by the Lillet, lemon juice and vanilla. And, I am kicking myself that I didn’t get the recipe right then (apologies, readers), because tracking it down from Canada has proved challenging. So, you’ll just have to play around with the five ingredients and see what you get. 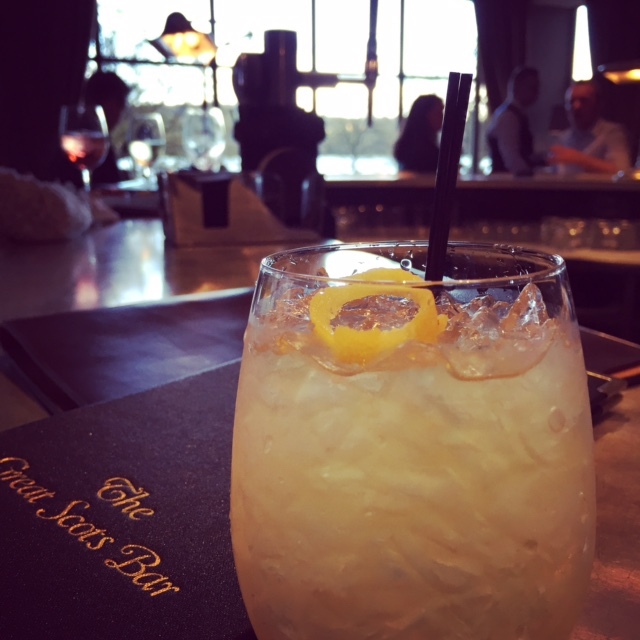 “The peaty power of Ardbeg mysteriously mixed with Lillet Blanc, Glayva, lemon juice and vanilla syrup.” — Great Scots Bar menu description. I never did make it to the Ardbeg distillery when I was on Islay, but as luck would have it, Ardbeg’s Canadian brand ambassador, Ruaraidh MacIntyre, was in Calgary the very next week. I joined the Victoria Day Tweed Ride with him, and then sampled three of Ardbeg’s range, including the 10 Years Old, Uigeadale and Corryvreckan, after the ride. It was fun to try them unadulterated after enjoying the 10 Years Old in an Islay Barrel. Slainte! 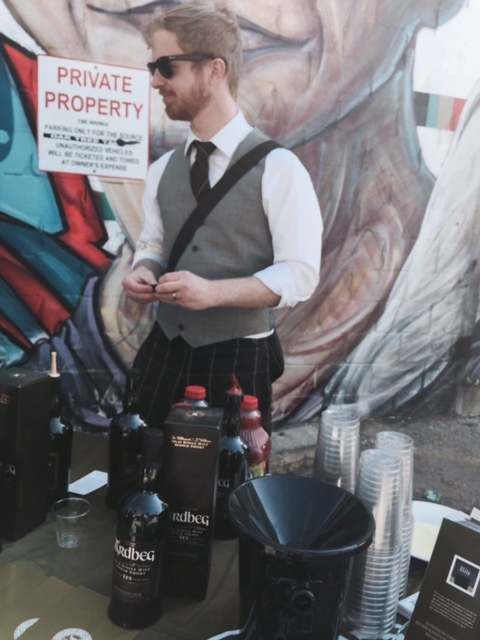 Canadian brand ambassador Ruaraidh MacIntyre pours out samples of scotch in Calgary after the Victoria Day Tweed Ride.